So you’re looking to do up your bathroom, or maybe you’re adding in a new one, question is: what’s going to land you the most added value? After all, not all bathrooms are created equal. If you’re putting time and money into your home, you’ll most likely want to create something buyers will want to see in the future. Here’s a list of not only reliable winners, but also some of the more modern trends that are sure to WOW the crowds. Let’s start of with a real luxury item - the benefit of your own sink. His and her sinks have been on the rise in the last few years, with more and more homeowners seeing the upsides of having their own wash station. Not only does it allow two people to use the bathroom at once, saving a lot of time in the morning rush, it’s a surprisingly cheap way to add some luxury into your home. By installing your two sinks next to each other, you can actually have them share the same water supply, plus drain lines. This saves your plumber time, and you money. For most bathrooms, the real centerpiece is going to be either the shower or bathtub. Invented in the early 19th century, showers have certainly come a long way in the last hundred years. Meaning, there’s plenty of choice when it comes to upgrading, and high expectations from future buyers. You can find examples of these, and the rest of the trends mentioned here on our Pinterest board! Before you might have considered underfloor heating as a bit of a luxury, but it’s actually one of the most efficient ways to heat your home. They’re especially desirable in bathrooms, where cold tiling can be particularly unpleasant in winter months. Unlike your radiators, that just heat the air around them, an underfloor system heats the entire floor, warming the room more evenly, and using less energy. This means that they not only add a luxurious touch to your new bathroom, but also help you save money when it comes to bills. Bringing in natural light is an easy way to make your bathroom feel bright and open to future buyers. You can do this by either expanding your existing windows, or changing up your traditional frosted glass to one that isn’t so opaque. If your bathroom is in the loft, you might also consider rooflights, allowing you more windows and light with none of the privacy risks. If new windows aren’t an option, a cheaper alternative will be to switch up your lighting. LED lights are a good option, and help save on electricity bills too. Try getting creative in your placement, maybe by installing them on mirrors or even within your tub/shower. 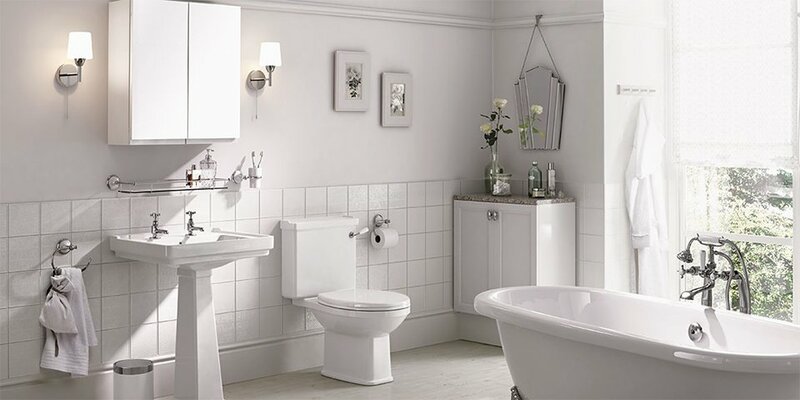 The easiest and most effect way of adding value to a bad bathroom is to re-do, or makeover your tiling. Sometimes just removing the grot isn’t enough. If you decide to install new tiles, you can actually save some money by removing them yourself, before getting a professional in to install the new ones. To see more bathroom trends, including the ones mentioned here, don’t forget to check out our Pinterest board.